The Linux Foundation sponsored this story. 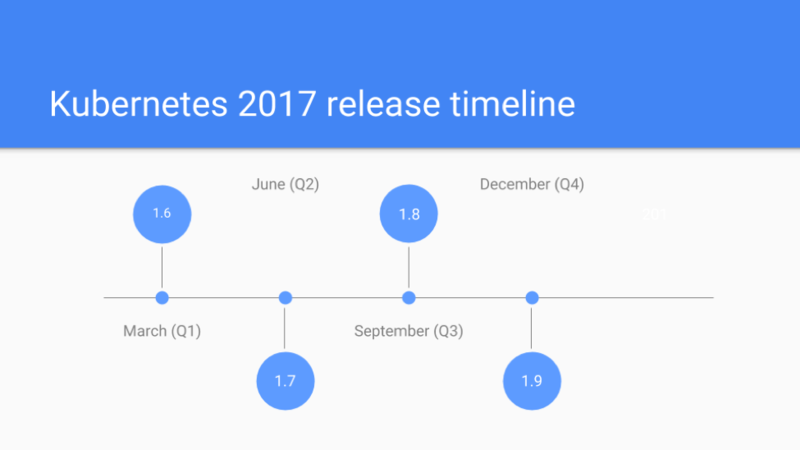 It is hard to believe Kubernetes 1.0 was launched just over three years ago, while its rampant adoption will likely continue to run riot. 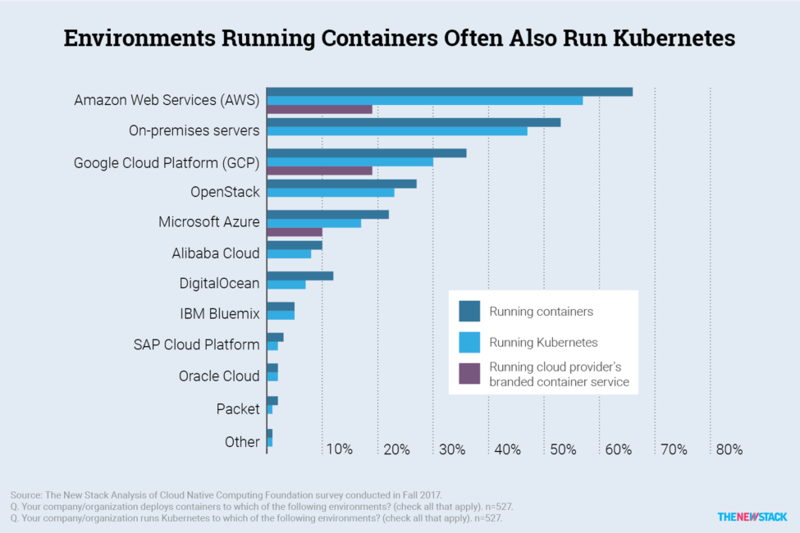 The Kubernetes ecosystem is indeed huge, and many organizations both large (think Bloomberg) and small continue to take advantage of what may become one of the most successful open source platforms in IT history. The past year has been especially important for Kubernetes’ maturity as a platform and its wide-scale adoption. We highlight below the most stand-out developments. In March 2018, Kubernetes became the first-ever CNCF project to receive the “Graduated” status. And, more recently, Kubernetes has earned the 2018 OSCON Most Impact Award. As Jim Zemlin, executive director of The Linux Foundation, recently said at Google Cloud Next ‘17, Kubernetes is the “Linux of the cloud, reflecting how Kubernetes is already on its ways to become one of the highest-velocity projects in the open source world ever. Indeed, it’s trajectory is comparable to that of the Linux Kernel velocity. 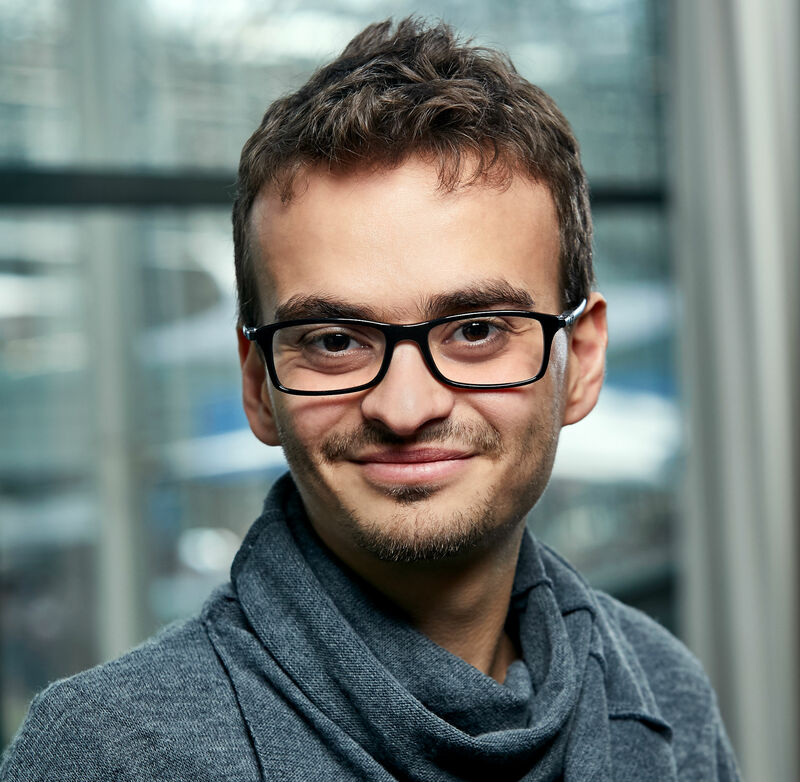 Ihor is a developer Advocate at the Cloud Native Computing Foundation (CNCF), focused on Kubernetes-related efforts in the open source community. He is a co-chair of the Kubernetes PM Special Interest Group (SIG-PM), focused on enhancing Kubernetes as an open source product. Additionally, Ihor is involved in the Kubernetes release process as a features lead for multiple release cycles. A Linux user since 2005 with a deep engineering background, Ihor has been responsible for projects tightly bound to the cloud computing space, containerized workloads and Linux systems.His recent speaking appearances include talks at Kubernetes leadership and the Kubernetes Contributors Summits, the OpenStack Summits NA and APAC, the OpenSource Summit EU, ContainerDays EU, the Google DevFests and other industry-leading events. Kubernetes would not be so successful, of course, if it were not for the support of the open source community. 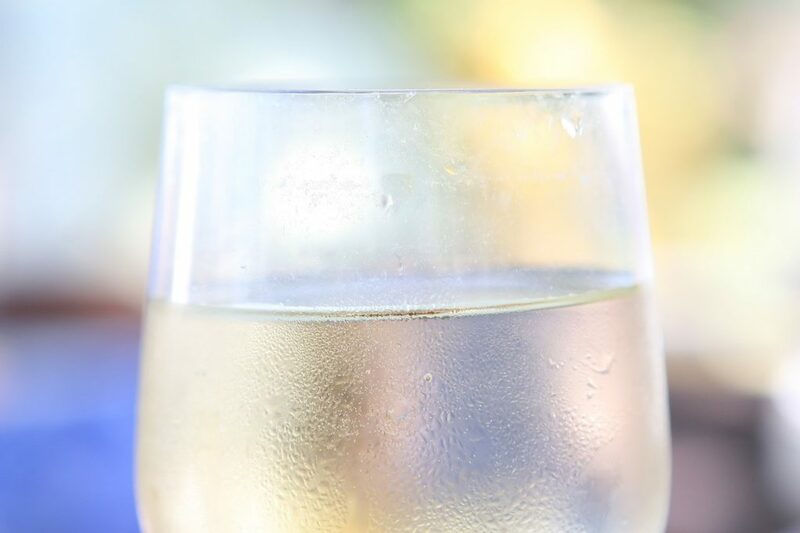 While it’s a technically complex solution, and it solves many of the possible challenges related to container orchestration, it’s not a silver bullet, either. For example, Kubernetes doesn’t have a single storage or networking solution, as well as a monitoring, logging or package management system capabilities. At the same time, Kubernetes is an important piece of the Cloud Native world, where it closely collaborates and organically compliments the different projects that serve as the backbone of this ecosystem. Kubernetes is also a technology the Cloud Native Computing Foundation (CNCF) offers. At the same time, CNCF today hosts more than 20 different projects in addition to Kubernetes. While these projects are independent and have their own governances, release processes and functional scopes, they also are of use to the Kubernetes community. At the same time, the global ecosystem of the Cloud Native projects is much bigger. CNCF is has become an even bigger part of the Cloud Native Landscape, which covers almost all the technologies that exist today in the Cloud Native World. Certification and educational programs also continue to play a large part in what CNCF offers. A vibrant development community continues to help make Kubernetes the profoundly successful open source project it has become. In just a few years after Kubernetes was created as an in-house project by Google, Kubernetes’ governance processes have also served to underpin the platform’s adoption as well. And a healthy community is at the heart of any successful source project. 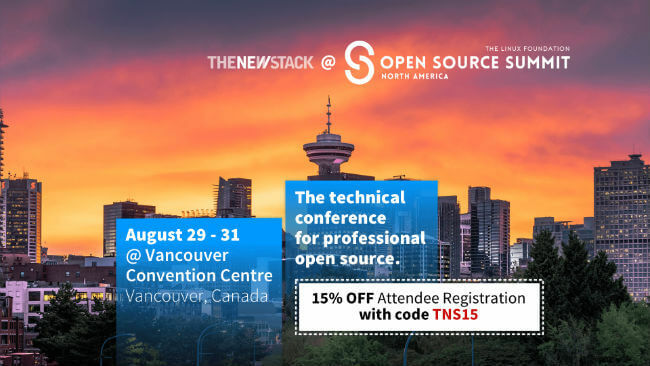 At the same time, the open source community is not a “static asset.” To be permanently successful and to move forward, any open source project also needs a growing pool of contributors in order to survive. 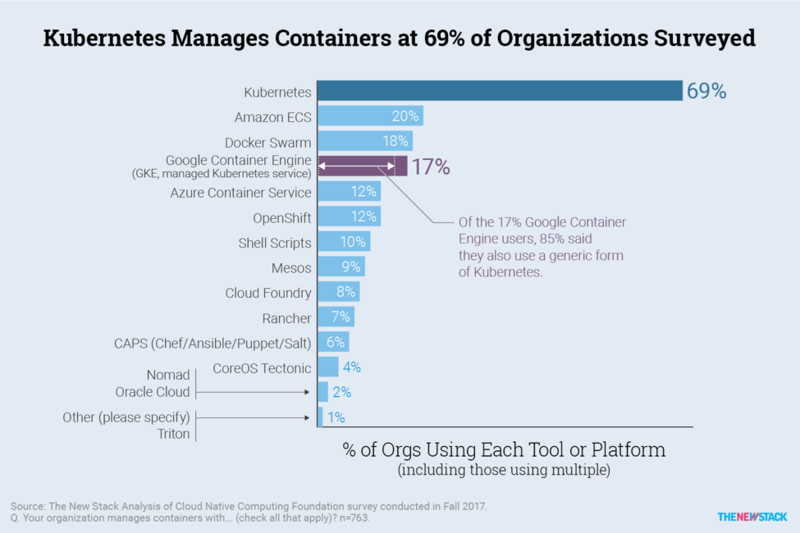 That’s why the Kubernetes community is working on multiple programs, focused on onboarding contributors, including the Kubernetes Mentoring initiative, Kubernetes Contributing guide and Office Hours, as well as “Meet our Contributors sessions”, Outreachy and even Google Summer of Code (GSoC), which is one of the most popular and well-known programs for the new contributors to the open source projects in the world. Some of the stand-out contributors have also garnered industry recognition. Kubernetes is a technology, first and foremost. And the project obviously couldn’t be so successful if the technology did not offer such a profound benefit to organizations. The most important releases of Kubernetes occur four times per year, providing a new set of features each time. The patch releases (delivering security patches and bug fixes) take place even more often, keeping the codebase always up-to-date. While the Kubernetes development process is certainly not easy, the Kubernetes release and planning process is even more complex. Today, Kubernetes is not only a technology project, it is a solid product, and the product roadmap defining processes of the future requires at least the same attention as development process itself demands. Kubernetes impact on the industry has been profound. And in order for its continued trajectory rate of adoption to mirror that of Linux’, it will, for the reasons mentioned above, require the continued support of the developer community, the CNCF and the commercial players who will help to pave the platform’s way in order for it to one day become mainstream component in the IT industry.